I'm back from five days in Chicago. Wes and I lived there before moving to Seattle 16 years ago. We haven't been back in 15 years so we had lots we wanted to see and do. The city has changed so much. We were completely astonished and we found relief in finding (good) things that had stayed the same. I think I love the architecture in Chicago most of all. 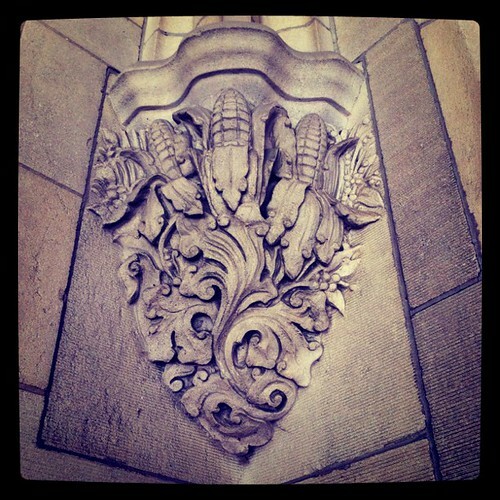 I took a lot of photos of little details like this from the University of Chicago campus. We took the kids to many, many museums. 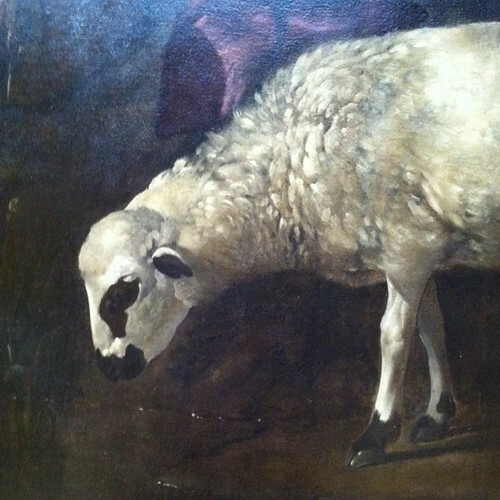 I found a sheep grazing at the Art Institute. 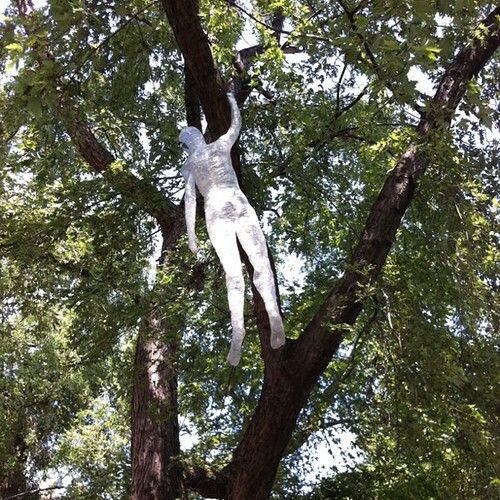 And found this strange human figure made of bubble wrap and packing tape dangling in a tree in our old neighborhood. I still love you, Chicago! There are a number of lovely designs in the newest Debbie Bliss magazine but this ain't one of 'em. Debbie, Debbie, Debbie. 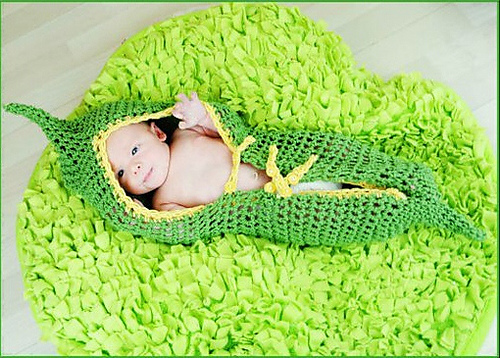 A knitted Snuggie? Really? 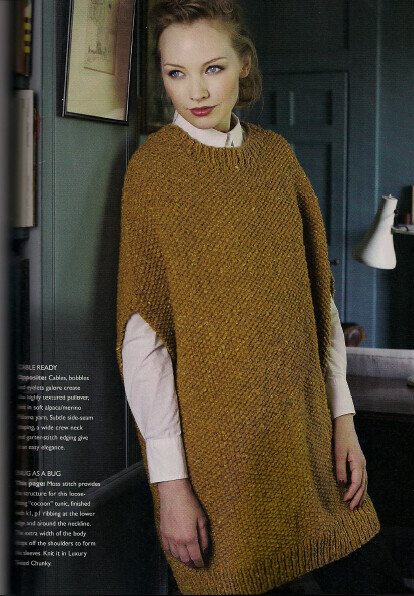 In moss stitch no less! 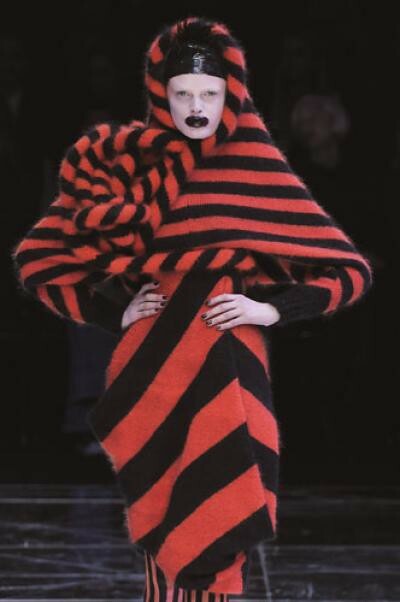 I pity the knitter who takes on this project and pity the person who ends up having to wear it more. It's up. What do you all think? That Octopus is awesome. Idiot! Idiot! Idiot! I spent all night at knitting complaining that it was taking so long to finish my sleeves (short sleeve version) of Daffodil. But I was following the instructions for the long sleeves! How?! How???????? I've knit my sleeve 3.5 times longer than I needed to. Gah! I began my hexapuff odyssey. 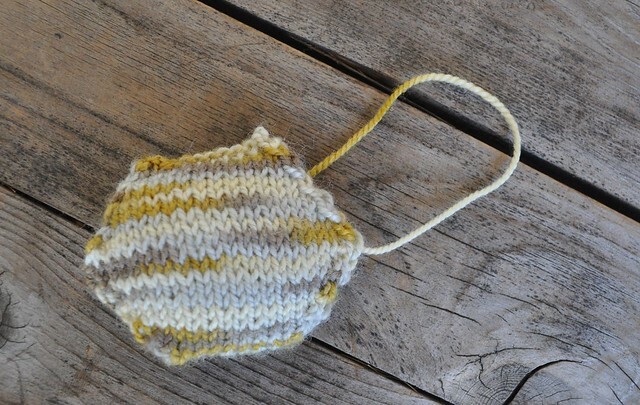 My first attempt knit using the magic loop with an Addi Lace needle resulted in a...hexagon? Next attempt was on four double pointed needles. Still too squat and lopsided. 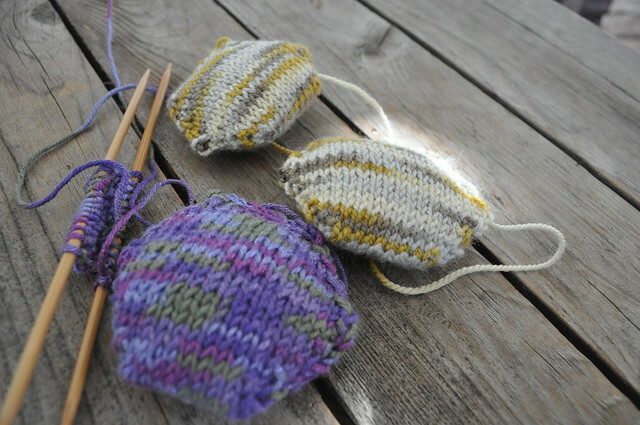 Tried knitting two plain rounds before starting increases using just three double points. Daffodil still needs another inch on the body. Close to finishing but it feels like it's dragging on and on. Over five years ago I introduced the carnivorous poncho. I have often wondered what had become of it. I can see now that it has completed its lifecycle and produced a spawn pod. I haven't had much to blog lately as I'm just plugging away, slowly, on my Daffodil. I'm using Cascade 220 Sport and it feels as though it's taking me an inordinately long time to knit. But Cascade 220 Sport on 3s is much, much slower than Cascade 220 on 6s. 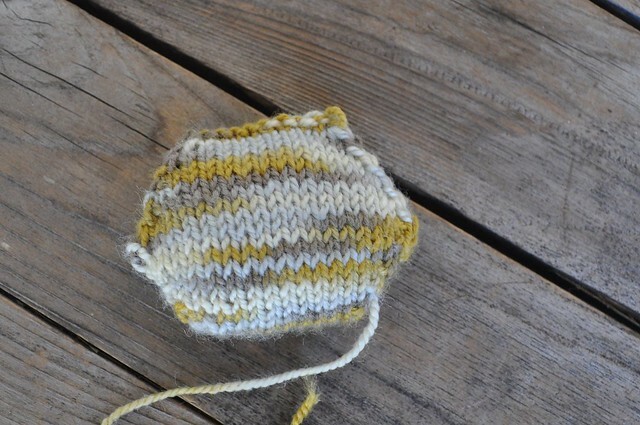 Also I'm knitting this back and forth instead of in the round which seems to double my knitting time. Oh, and I'm in the really boring part. Taken with my phone so the colors are really inaccurate. 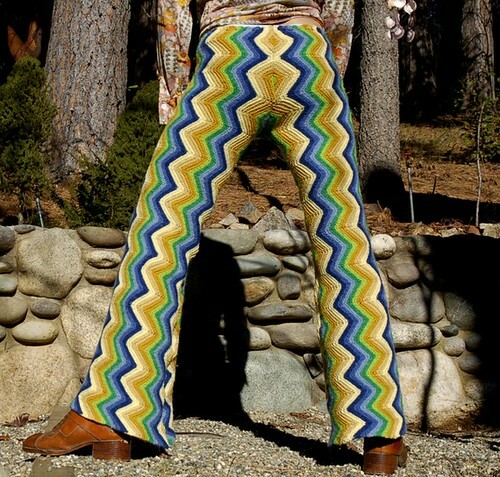 Anyway, when the Beekeeper's Quilt pattern came out I saw it and thought, "What a ridiculous pattern." 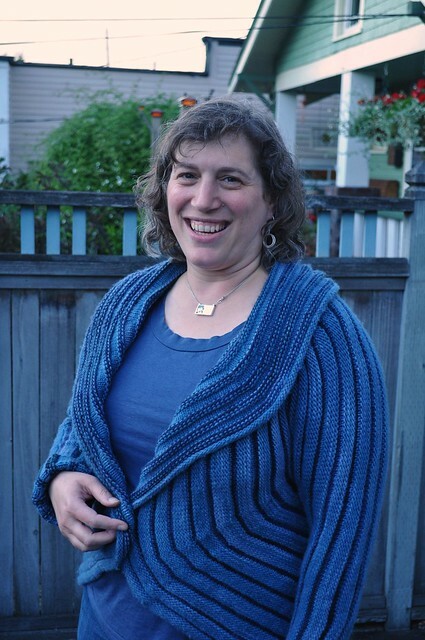 That has morphed over a week or two into, "My goodness, that looks like so much fun and I love scrappy projects that use up all my tiny bits of yarn." 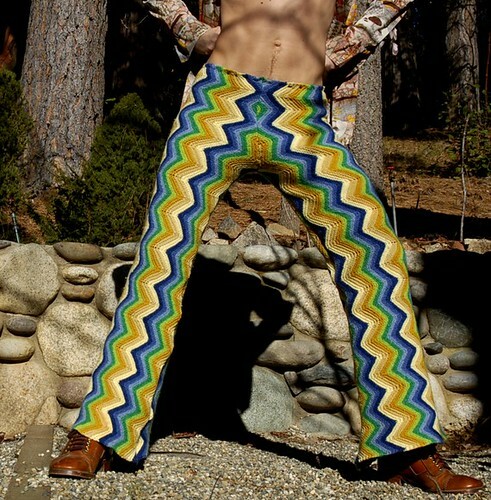 So I just bought the pattern. 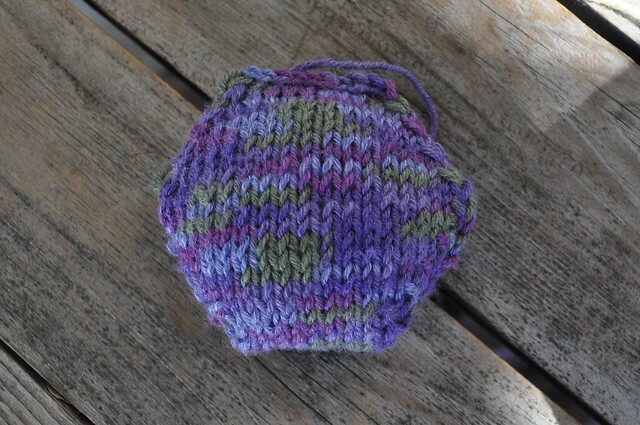 I haven't even knit my first "hexapuff" yet but I'm already really excited. 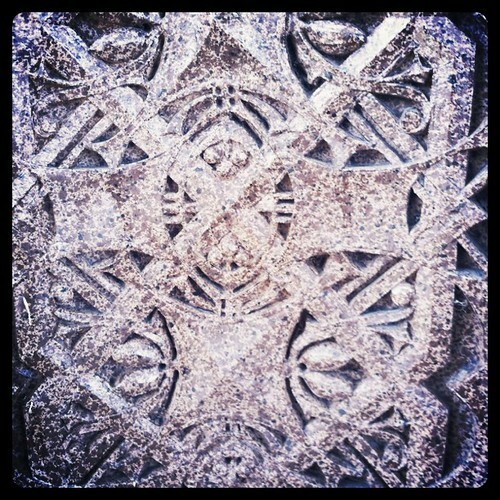 Note: The photos I was using for my Thursday post have been pulled from Flickr. So instead I give you this. 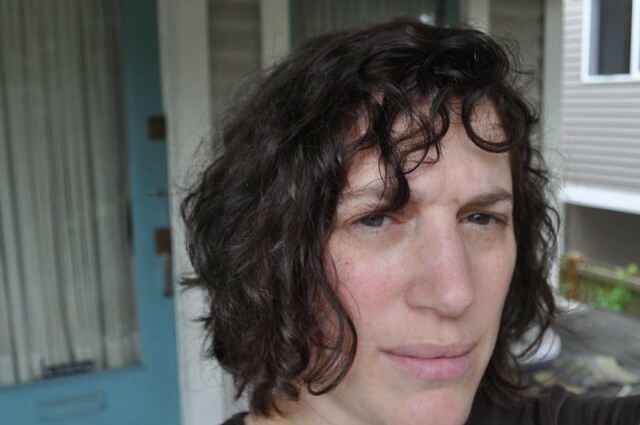 I finally dyed my hair because I was getting sooooo gray. I think I like it. I'm giving the camera the stinkeye because it was acting funny while I was trying to take the picture. I am incredibly sad to share that Joyce Williams has passed away. Joyce was a forceful, energetic woman so it seems impossible that she did not outlive us all. This photo of Joyce, taken at camp two years ago, will always make me smile. Goodbye, Joyce. I will miss you. The emphasis the pattern places on certain areas of the model's anatomy. I forgot to post that the new Twist is up, though I suspect most of you have already discovered that. It's another beautiful issue. I'm not always the biggest fan of VK but I see some awfully pretty things here. 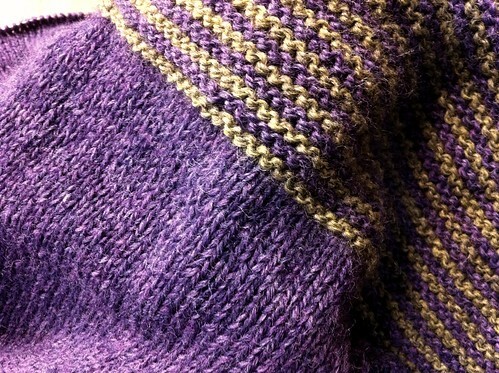 Pattern: Plum Perfect from Knit, Swirl! Notes: This was a fun knit. 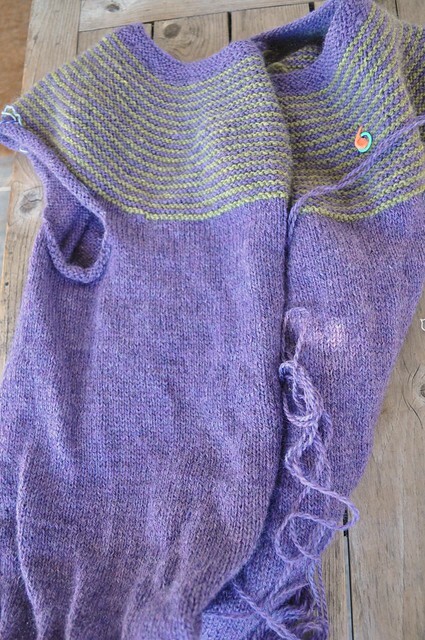 The construction is a bit mysterious even as you knit it then it all comes together with one long seam. My seaming wasn't great the first time so I had to rip it out and do it over. I can see doing more of these. I got back from Sock Summit on Sunday night with an ENORMOUS bag of yarn in tow. Yeah, went a little crazy. But now I've got a really busy week ahead of me. 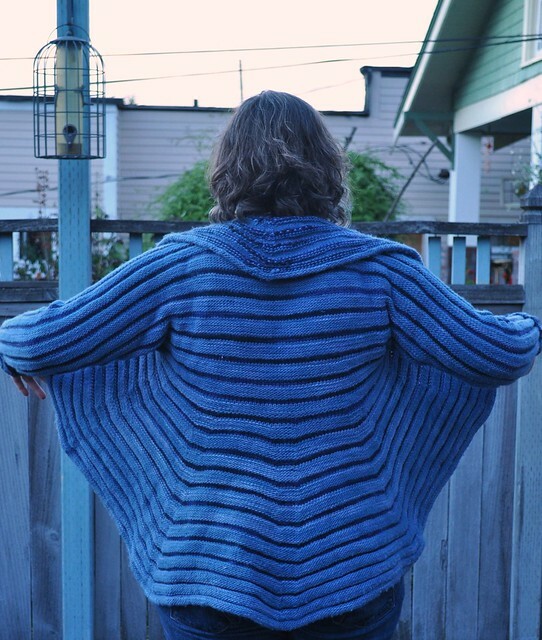 I need to get some photos taken of the yarn, my newly finished Knit, Swirl sweater and the new sweater I'm working on. Soon, I hope.